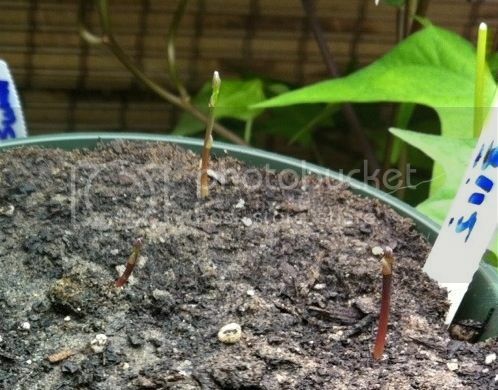 So, this is the first time I'm trying to grow asparagus from seeds but they aren't sprouting. I live in Dubai and it's kinda warm but not overly so at the moment. Does any one have any clue what could be the problem? They are in seedling pots, in potting soil, watered daily with tap water in semi sun.. Any tips appreciated as we loove fresh asparagus! I don't know, but I decided to try pre-germinating my Purple Passion Asparagus seeds I collected this spring from last year's dried stalks. Soaked overnight in filtered water, then rinsed and drained over a folded paper towel on teacup saucer. Kept in east facing sunny window by day, room temperature at night, rinsed/drained twice a day. They started to germinate in one week. 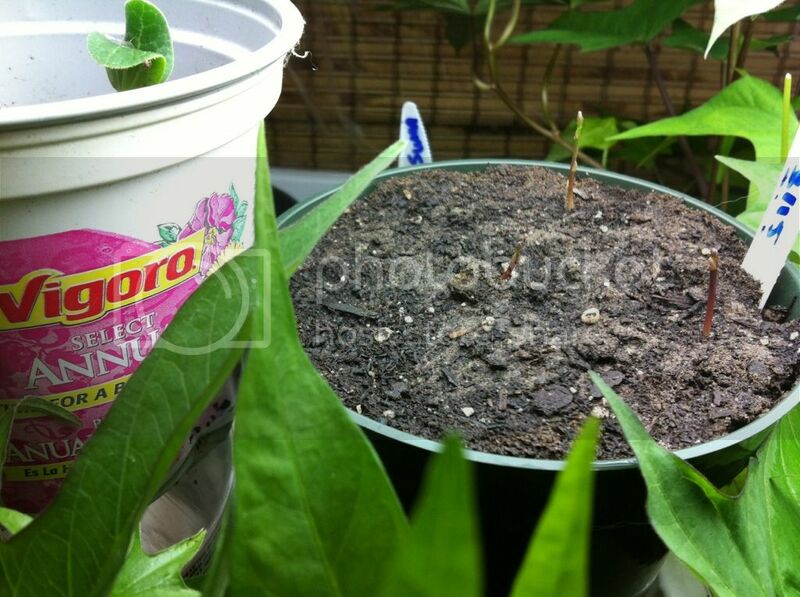 I sowed some of the germinated seeds in a flower pot of 1/2 potting soil 1/2 sand, and sowed the extra seeds outside. Ahh ok, thanks I'll take them out of it's soil house and make them a saucer house and see what happens! The seeds have been planted 3 weeks now, maybe duff seeds? i just plant them in the fall and come spring i have seedlings. how long have you waited so far? Mmmhh... I don't think so... No evidence to suggest it anyway, but the birdies sure loved my seed tray. The 3 rescued seeds I'm still trying with. I didn't see any green bits or cracks in the seeds from were a shoot might have been..